These three conditions are part of the the “Kaldor Facts” established in by Nicolas Kaldor in 1957. The Kaldor facts as information equilibrium (IE) relationships. 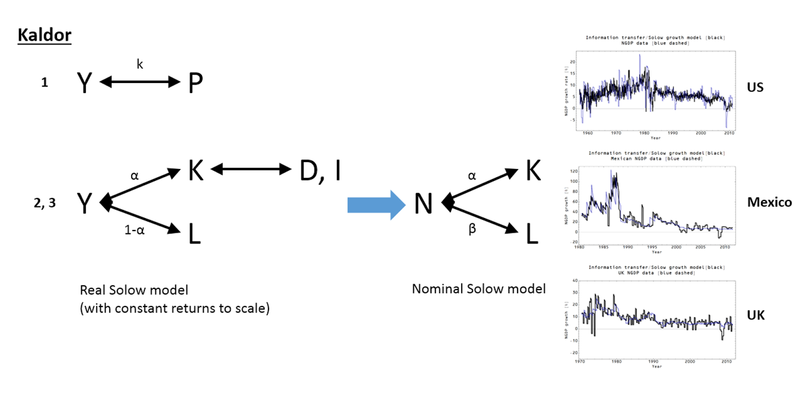 Also shown are more empirically accurate IE relationships (the "nominal" Solow model). As Vollrath mentions in , there are some questions as to whether the stylized facts represent the data. While the first works reasonably well, the second and third are less successful. 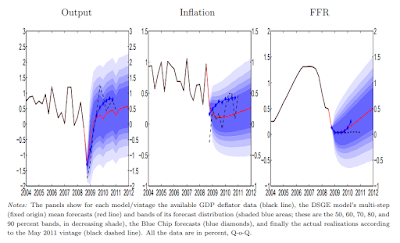 Vollrath claims you probably wouldn't reject any of the hypotheses. 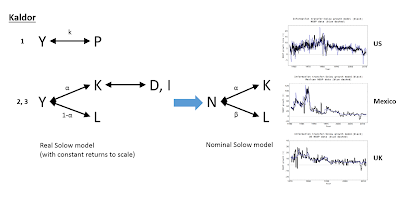 However, I think the worse failure of the second and third facts can be directly related to the finding that the IE version of the Solow model (the "nominal" Solow model, which tells us to use nominal quantities like nominal output and doesn't have constant returns to scale) works really well empirically (shown in the diagram above for the US, UK, and Mexico). In fact, this is the basis of a really good empirical model of output, labor, capital, and inflation (so both real and nominal output) I called "the quantity theory of labor and capital". The main point, however, is that we can capture the original Kaldor facts as a concise set of information equilibrium relationships.